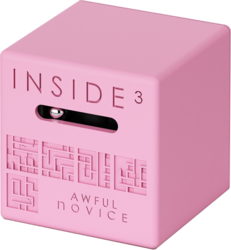 Inside3 is a 3-dimensional labyrinth that is played blind. We release the ball, we watch it go (with apprehension) in the dark and we try to get it out of the other side. By simply following the plan engraved on the surface. There are 3 series based on the same principle.